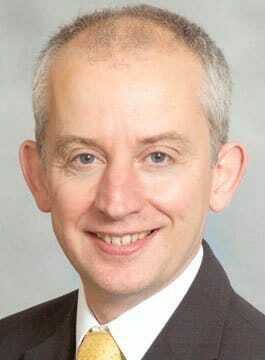 Mark Jenkins is Professor of Business Strategy and Director of Graduate Programmes at Cranfield School of Management. Prior to joining Cranfield he held positions at Nottingham University Business School, Massey Ferguson Ltd and the Lex Service Group. Mark Jenkins’ speaking activities focus on a range of areas including competitive strategy, teamwork, high performance cultures and innovation. He uses the high performance world of Formula 1 Motor Racing in order to draw valuable lessons for how teams, departments and entire organisations can improve their performance. He has spoken at international conferences throughout the world, to a wide variety of sectors and sizes of business. As an academic who works primarily with executives he is accustomed to working with audiences who are discerning, demanding and, above all, actively looking for ways to improve the performance of themselves, their team and their organisation. His philosophy is that you can only have real impact with your audience if you: a) engage them with real examples and stories which are illuminating and inspiring and b) that you effectively connect these examples to the challenges faced by individuals in the workplace. It is for this reason that he exclusively focuses on the exciting, high performance, high technology and teamwork based world of Formula 1. Mark Jenkins is the author of a number of books on strategic management issues, has published numerous journal articles and is on the editorial boards of British Journal of Management, Long Range Planning, Organization Studies and the Journal of Management Studies. Mark Jenkins has appeared on Channel 4, BBC News 24, BBC World Service (radio) and German TV discussing developments in Formula One and Britain’s motorsport valley. He has been featured in a number of articles concerning the development of Formula One and lessons for other businesses in The Times, The Financial Times, The Mail on Sunday, Sunday Business, Sunday Times, Guardian and USA Today. Advanced Strategic Management – A Multiple Perspective Approach.